Long Wing Necklace. Beaded Slice Geode Necklace. 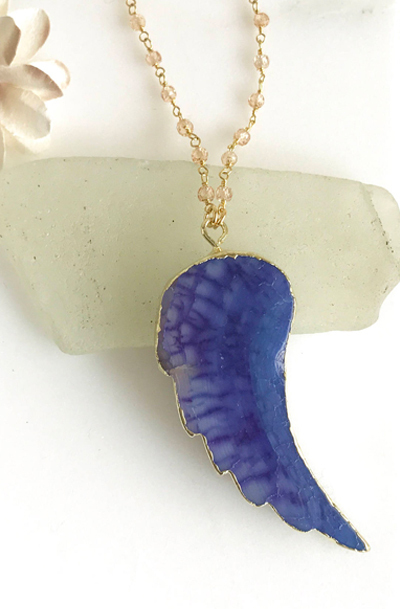 Purple Stone Long Gold Wing Slice Necklace. Gold Stone Necklace. Boho Jewerly. Gift. The beads are 4mm jstones. The necklace is about 30" long and then the stone hangs down another 2.5". The chain is 14k gold filled. This is a one of a kind piece.